To the novice trader, the whole notion of trading strategies can seem daunting, or even intimidating. In part, this is a consequence of language, given that “strategic” tends to be synonymous with “large, complicated and expensive” when the term is so commonly used in conjunction with public authorities or weapons systems. Far better, surely, to trade on instinct, to take each day as it comes and keep things fresh and spontaneous? Leave talk of “strategies” to the big players? Well, no. Those “big players” didn’t acquire their strategies as some sort of an afterthought. The chances are that they are big players because they have worked according to a strategy. So, now that you’re convinced that you need a strategy; which one to choose? There are some incredibly complex strategies out there, reminiscent of one of those horserace betting systems in which a range of different results all have to come out the right way for the punter to enjoy a hefty pay-out. But the good news is that there are some reasonably simple strategies well within the capabilities of a new trader. The better news is that, properly handled, they can be effective tools in trading successfully. 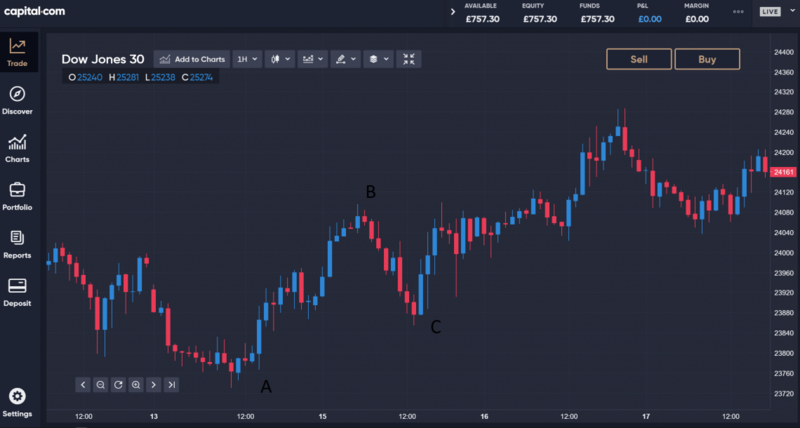 In a sense, most trading involves responding to prices, but this is a very specific system that requires scrutinising past trading patterns to identify a level at which the security in question has met support or resistance. Don’t look for both levels, choose one or the other. For the sake of argument, let’s assume you are looking for the support level. In a sense, that is the easy part and, of course, there is nothing to stop you simply buying whenever the support level is breached on the downside. But to achieve the sort of results for which a professional would be looking, you need to study the charts to spot when, in the past, the price has not merely recovered above the support level but has taken off strongly. This may be after one, two or even three dips below the support level, so bide your time. Patience is of prime importance. This strategy is based on identifying and then riding an upward trend in the price of a security. In a sense, such a trend will identify itself, as the central feature of an uptrend is not that prices rise all the time but that each dip leaves the price higher than the last dip had. It is these “higher dips” that are at the heart of ABC trading. The “A”, the first price, is your starting point, and it will be a relatively low price from which the security climbs to “B”, the most recent high point. If an uptrend is underway, the next dip will take it to “C”, which, while lower than “B”, is higher than “A”. It is this third price, “C”, that tells you to buy. Should this third price not be higher than “A”, then take no action, as an uptrend has not taken hold. There is a whole literature on moving averages, the mean price of a security during the past X number of days. 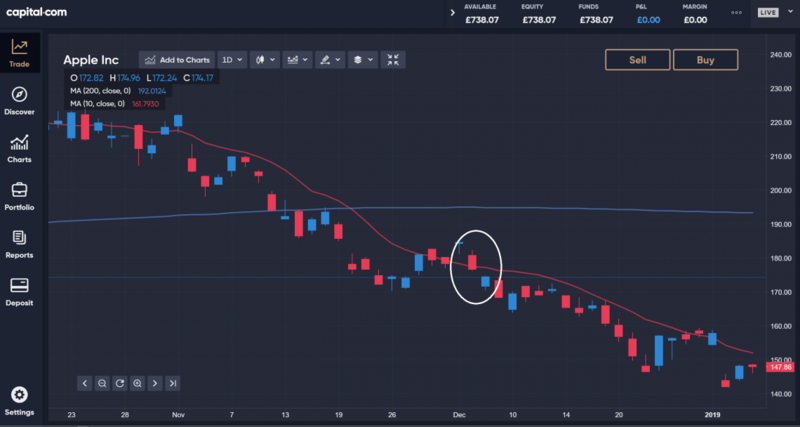 Some argue that moving averages should be weighted, with more emphasis put on the most recent prices, given they are more relevant in the here and now than those at the start of the period. Others retort that this is little better than taking the most recent price and forgetting about averages altogether. The good news is that this system uses simple, unweighted moving averages to generate buy and sell signals. 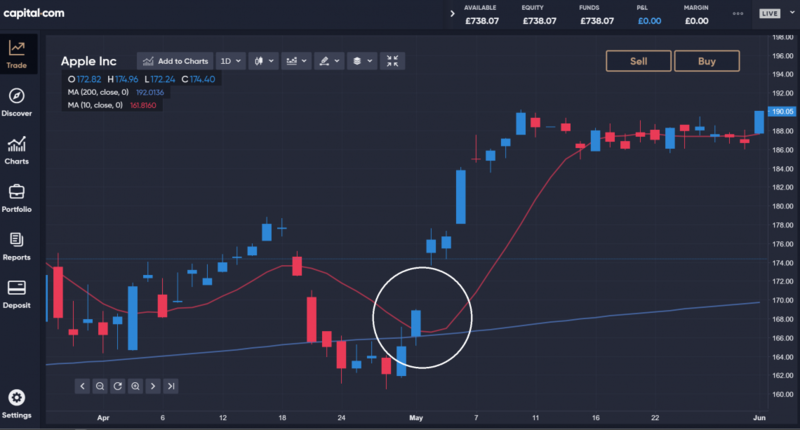 The 200-day moving average tells you where the price is going, and when that price has been rising; wait for it to fall below the 10-day moving average as a correction. When it then closes above the ten-day average, it is time to buy. Alternatively, when a price closes below the 200-day average, wait for an upward correction taking it to the 10-day average. When it then closes below the 10-day average, it is time to go short on this security. The beauty of this strategy is its elegant symmetry. Take a period, such as ten days, and find out the highest and lowest closing prices of the security in question, let’s say $2 and $1. Dividing by two gives you the average that you will be using in this strategy, $1.5. When the current closing price touches $2, it is time to buy, and should it subsequently fall to or below that $1.50 average, it is then time to sell. Conversely, when the current close touches $1, you should go short, closing your short position if or when the price reaches or exceeds the $1.50 average. High-low trading is so straightforward that it practically functions automatically. But as with all trading strategies, keep a record of how your trades turned out, in case your strategy needs fine-tuning. 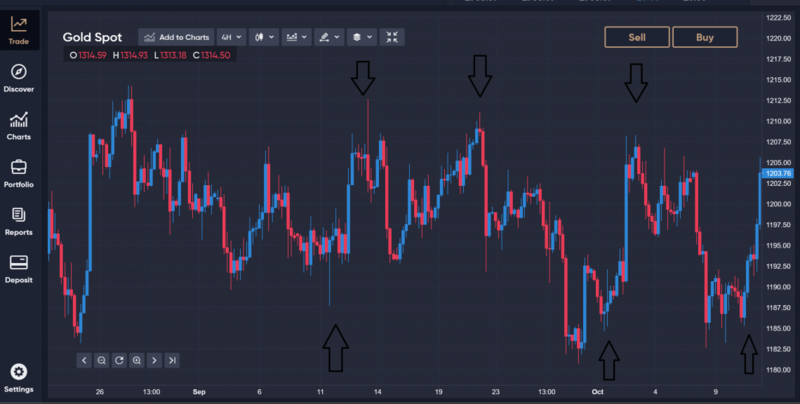 Of all the strategies we have examined here, the very mention of this one may be enough to spook the novice trader; it is usually associated with hardened professionals rather than beginners. But, despair not, in fact, swing trading is another straightforward system for making money out of markets that are drifting sideways. Swing trading is not suitable for a market with a strong trend, up or down – when the bulls are running or the bears growling, other strategies are needed. However, a market in which little is happening and with no obvious trend is, in the jargon, range bound. The securities in that market will tend to move up and down in reasonably predictable ways, and these patterns can be discerned. The swing trader will try to ride the ups and downs in pursuit of profit. Our simple but effective strategies come with a warning, however. They work only if given a chance to do so. For a trader to chop and change strategies, or simply intervene capriciously themselves, would be an invitation to make losses. Let the strategy run its course and then record how well it performed. Once you’ve done that you’ll be in a place to analyse your results – gains and losses – and try again.